Legendary Jamaican reggae singer, Sugar Minott (real name Lincoln Barrington Minott) has died around the 10th of July 2010 at the University Hospital of the West Indies in Jamaica's capital, Kingston, according to his wife Maxine Stowe. She did not confirm the cause of death, however only a couple of months ago, Minott had to cancel some performances in Canada due to chest pains. Sugar was also a songwriter and producer during his career. In 1969 he teamed up with Tony Tuff and Derrick Howard and formed the group the African Brothers. Releases included "Lead Us Father", Mystery of Nature", Party Time" and "Righteous Kingdom". In 1974 Sugar teamed up with ace producer Coxsone Dodd of Studio One, which gave new life to the label after the loss of John Holt, Ken Boothe, and Alton Ellis to other studios, His first hit for Studio One was "Vanity". This was followed by "Mr DC", "House is not a Home" and "Hang on Natty". These in turn led to his first solo album "Live Loving". In 1979 he left Studio One to form his own label "Black Roots" which led to the foundation of the Youth Promotion crew, which recorded artists such as Little John, Triston Palmer, Barry Brown and Tony Tuff. However, in the UK he's most remembered for his 1981 hit (No 4 in the charts) "Good Thing Going" which was actually a cover of a Jackson 5 song. Minott's version quickly established itself as the definitive version and is fondly remembered by all fans of Lovers' Rock - even now it brings a smile to the face of anyone who remembers hearing it back then, and soothes the soul of those who hear it for the first time. 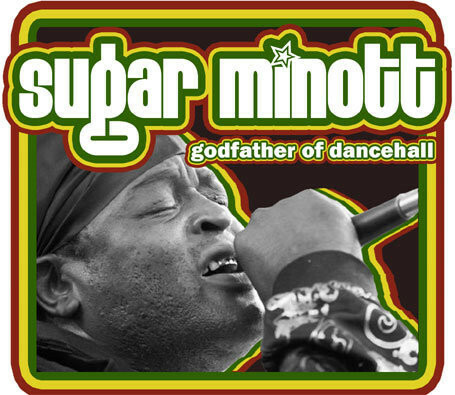 As of this time of writing, Sugar's official website (www.sugarminott.net) carries no news of his death, however it still intimates that his 'new' album will be released on the 21st July. There is some confusion, since there are reports on the internet suggesting that the album was released in 2008 and even his own Press page on the site carries articles referring to the album "New Day" dated 23 July 2008. If anyone can clarify the situation can they contact info@worldmusic.co.uk with a definitive answer. 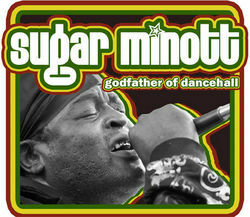 Sugar Minott will be sorely missed by legions of fans all over the world, not least in the UK, where according to the BBC's Magazine Monitor for 9th March 2007, Prince Charles is a fan of veteran reggae artist Sugar Minott - requesting one of his songs be played while visiting a record shop in London!